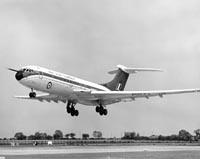 XX914 at Thurleigh on 6 May 1975 during its last flight. 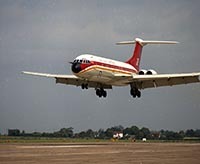 Construction number 825 on the Weybridge production line was originally allocated to become a third Ghana Airways airframe. 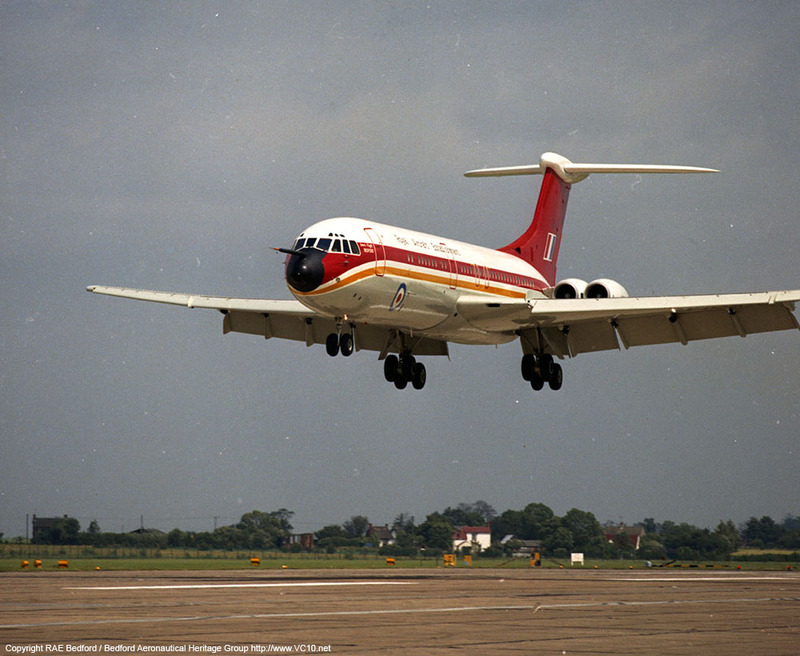 Their second and third VC10 were both ordered with the large main deck freight door which was originally specified by Freddie Laker for the BUA VC10s. Because of this they were basically to type 1103 standard although the second Ghana machine would keep the 1102 type number that was allocated to the Ghana order. 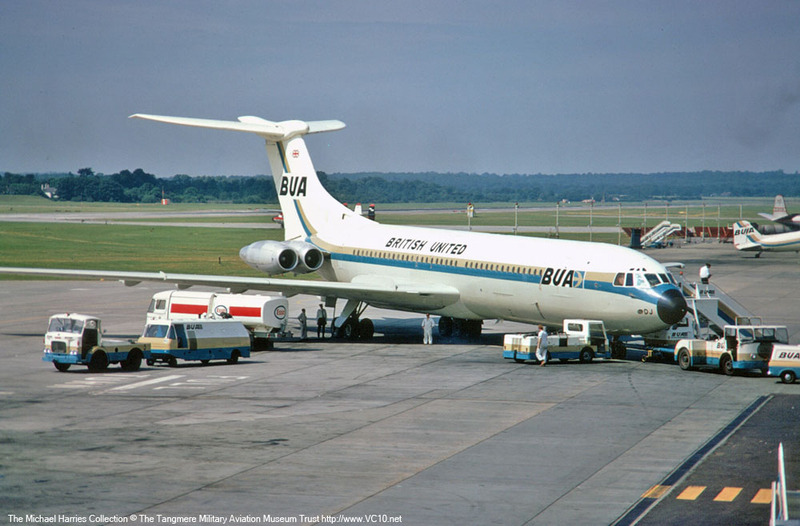 After six months of operating two VC10s, BUA felt that they had proved their worth and considered them reliable and popular. Because of this the first repeat order for the VC10 was announced in May 1965 and with Ghana Airways having just delayed delivery of their third VC10, c/n 825 was now allocated to BUA (Ghana kept an option on a third VC10 but this was moved to c/n 840, an airframe that was never built). For £2.8 million a third VC10 and some spares were to be delivered on 31st July of that same year. This would enable BUA to use it on trooping flights but would also help them to expand the network as they had just applied for freight services to the Far East and Africa. These were not allocated but after an early delivery on 1st July 1965, G-ATDJ was quickly in use on the many trooping flights, four of which were flown to the Middle East every week, and the South American routes that BUA had taken over from BOAC. The Edwards Committee advised in 1969 that a second-force airline should be allowed to compete against the state airlines and this led to talks between the two largest independent airlines: BUA and Caledonian. By October 1970 the deal was done and Caledonian Airways had purchased BUA for £6.9 million. Now known as Caledonian//BUA this led to a new livery for G-ATDJ and the name 'Loch Fyne'. 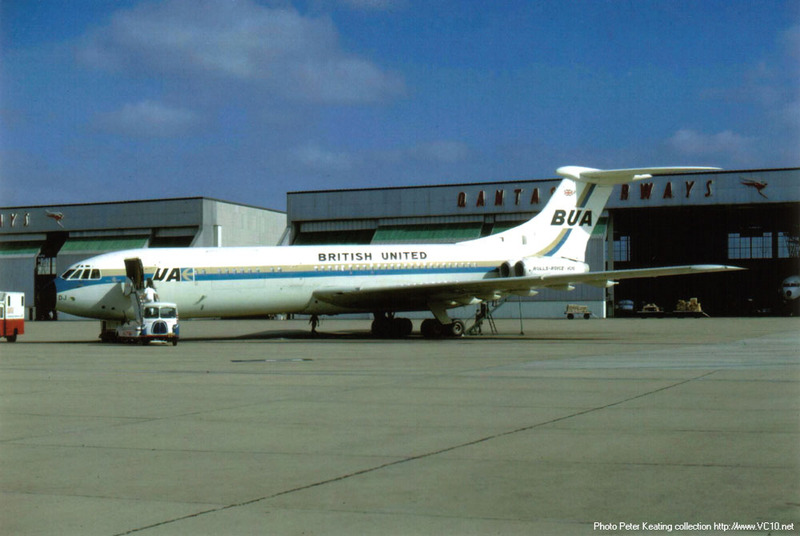 On 1st April 1971 the freshly repainted VC10 operated the first of Caledonian//BUA's new service to Africa via Kano and Accra, finishing in Lagos. The service was to be operated in a pool with Nigeria Airways and perhaps also with Ghana Airways. It is ironic in a way that this airframe which originally had been allocated to a Ghanese airline would end up flying to this same country, being welcomed by dignitiaries upon its arrival there. From September 1971 on the airline was rebranded as British Caledonian and under this flag G-ATDJ continued flying across the globe until the aircraft was sold to the Ministry of Defence in March 1973. XX914 landing at Thurleigh in July 1974. Although it looks similar, the nose probe is not for refuelling but carries attitude and pressure sensors. 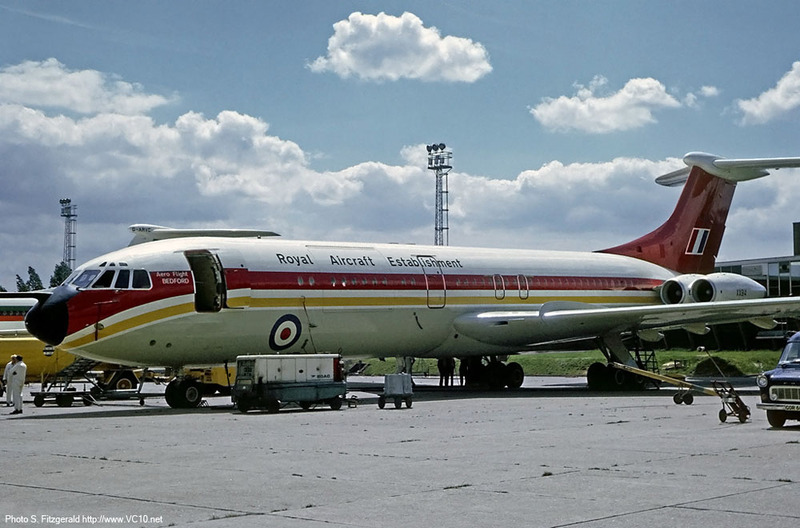 In April 1973 G-ATDJ was ferried to Filton where it was repainted in the RAE colours and the airframe was modified with a large number of strain gauges which were to be used to measure stresses within the airframe, as well as an instrumented nose probe. 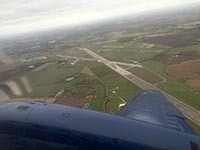 The aircraft was to join the Aero Flight Division (not the Blind Landing Experimental Unit as has been published elsewhere) at the Thurleigh aerodrome for several research tasks, mostly connected to the Structures and Engineering Physics departments. Its first research task was actually carried out during its delivery flight from Gatwick to Filton, recording crew activity through a manual recording kit. The VC10 joined a varied collection of types at the airfield and was to be the largest airliner within the Aero Flight Division. Its main job was a research programme led by the Structures Department in which responses of the aircraft to several disturbances such as turbulence were to be measured, both with and without autostabilisation. 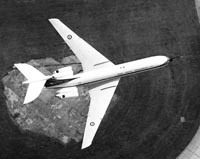 The Aero Flight which basically acted as the operator of the airframe also used the opportunity to fly the VC10 on several tasks such as a high-speed buffet study and a programme in which vortex wakes left by large airliners were studied. For this the aircraft was fitted with smoke generators on both wing tips and near one of the outboard flap sections. These allowed observers to study how the large vortices that are shed by an airliner's wing dissipate over time, interact with each other and the ground and how they are influenced by different configuration changes. For the buffeting trials large figure-of-eight manoeuvres were flown in quiet airspace North of Aberdeen at a range of differing Mach numbers and g-loadings. The wings were covered in tufts to observe flow separations and when the weather permitted it, a shadowgraph technique or condensation effects were used to observe the shock waves on the wings too. Attempts to photograph these situations were undertaken but proved to be very challenging as the conditions had to be perfect and could change very quickly. Because of the different manoeuvres and the roller coaster motions needed to provide calibration points for the various strain gauges on the airframe, it was not exactly a smooth ride for the people on board. The program did however deliver a very large set of data on the structural response of a large airliner to light high-speed buffet. 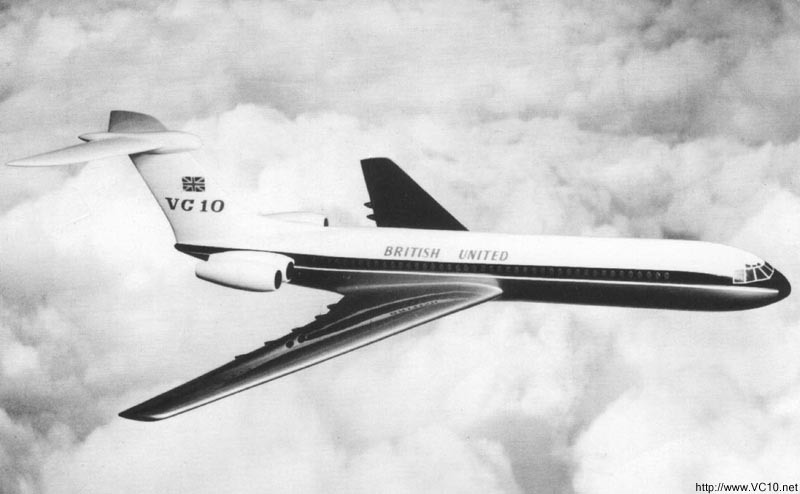 Another program for which the VC10 proved very valuable was a measurement of noise generated by an airliner, especially the contributions made by any external antennas and such, small cavities and gaps on the external surface. To be able to measure this a day was needed with very low wind as well as a specific temperature profile and humidity and a quiet airfield environment, a condition which only occurred about three times a year at Thurleigh. 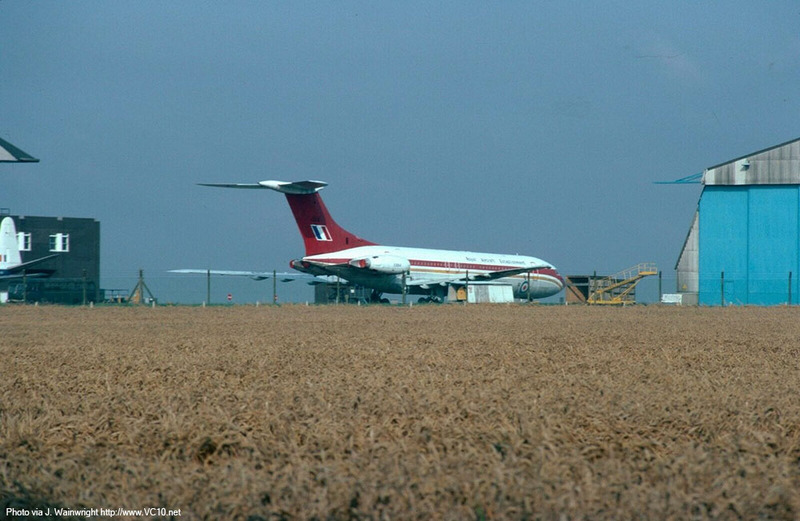 When the conditions were perfect, a very busy day ensued during which the VC10 was flown across a large array of sensitive microphones on the airfield with every combination of flaps, slats, undercarriage and undercarriage doors possible. It involved diving towards a marked target on the airfield with the engines throttled back to idle and after passing the microphone array it was up to the crew to quickly power up and reconfigure the aircraft for another run three minutes later. It was only one day but extra conversations with the local Noise Liaison Committee were needed! 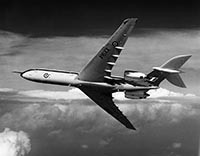 In March 1975 the aircraft was operated from a Canadian base in conjuction with Canadian aircraft in a search for Clear Air Turbulence (CAT) for more structural measurements. The location was carefully chosen for its proximity to the Rocky Mountains but sadly no CAT was found during fifty-six hours of flying. For some reason this particular period no CAT was encountered by any aircraft within this region. In a way it was a disappointing end to a successful research career. 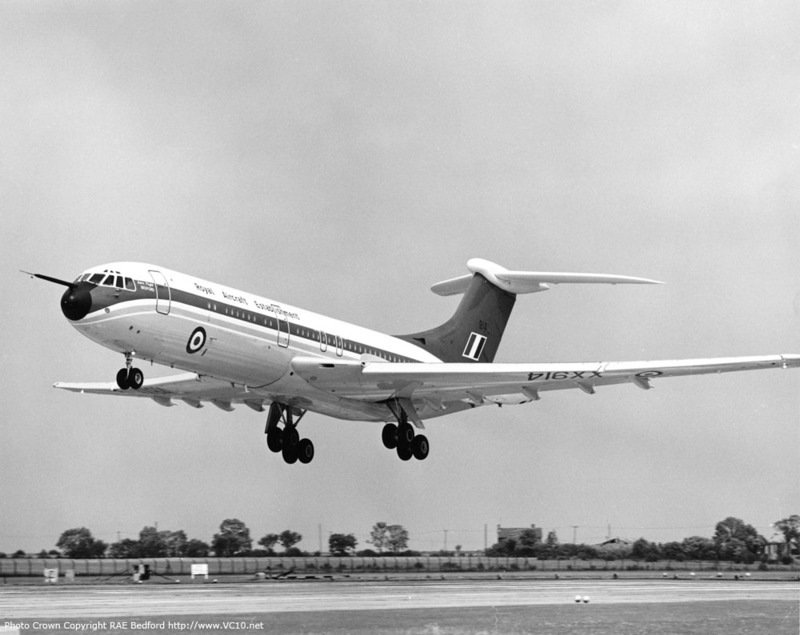 After returning from Canada the VC10 flew two further flights on 17 and 18 April 1975 but after a last flight on 6 May the aircraft was retired. The fuel costs had jumped significantly and the expenses could not be justified any more. 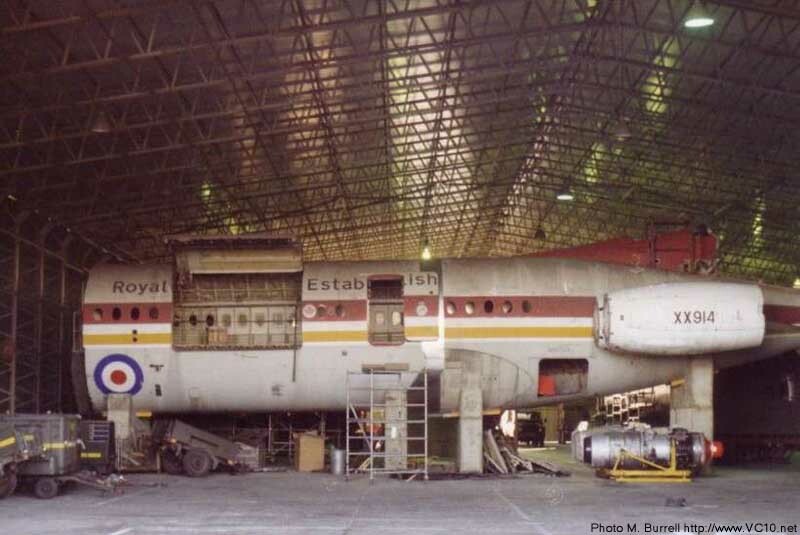 For many years the VC10 stood between hangars one and three on the airfield and would donate several parts to other VC10s including its fin, which was fitted to ZA141 after its flight test incident. 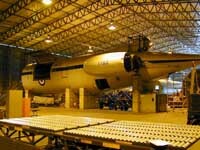 Two large fuselage sections were moved to RAF Brize Norton and would serve as a training object for aircraft loaders for many more years. 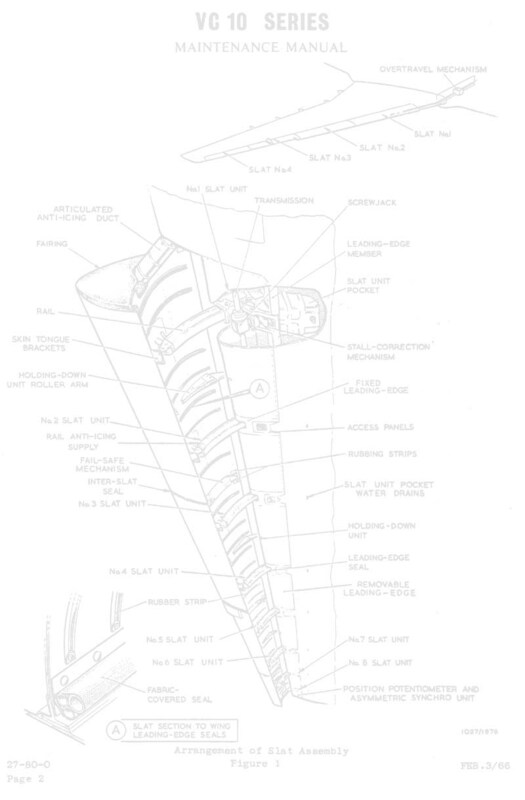 Often referred to as the 'VC5', being only half a VC10, it was not a continuous fuselage section, but rather the rear end aft of the main gear bays grafted to the front fuselage section over the front cargo bay that includes the main deck cargo door. With this setup loading procedures for all the VC10 cargo areas could be practiced without running the risk of damaging an airworthy VC10, or having to keep one on the ground for this purpose. 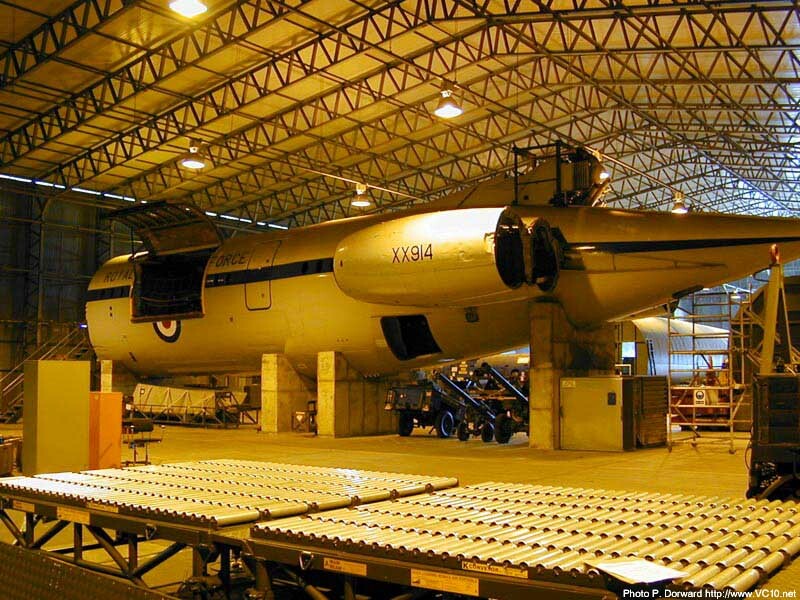 In 2014 the Defence Movements Training Squadron had no need for the fuselage anymore and it was scrapped at RAF Brize Norton, to be replaced in the school by an A400M fuselage. Sources: The History of British Caledonian Airways, D. Thaxter and Wings over Thurleigh, Bedford Aeronautical Heritage Group. With thanks to B. Tomlinson, BAHG. December 1968 Flew to Sydney via Bombay, carrying a ship's crew. 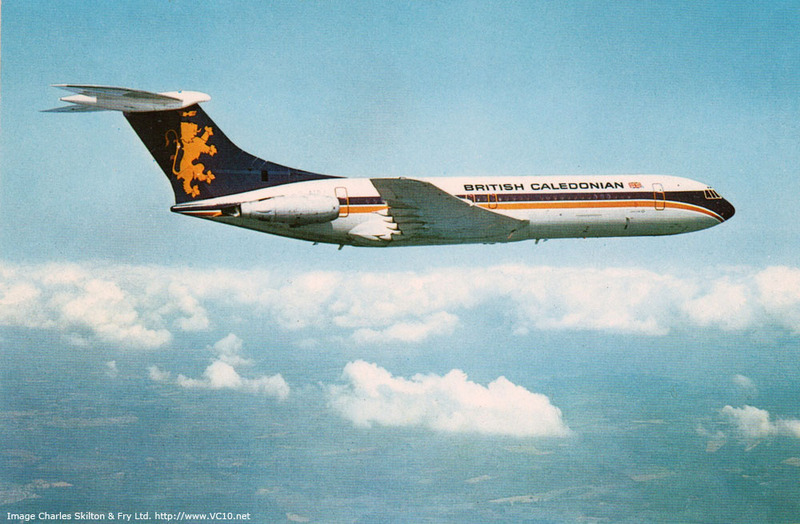 1st April 1971 Operated inaugural service to Africa for Caledonian//BUA. 2 March 1973 Sold to MoD for use by Royal Aircraft Establishment at Bedford. 5 April 1973 Re-registered as XX914 (registration was allocated on 13 February 1973), removed from the civil register. October 1973 Entered service with RAE Bedford, Aero Flight and Flight Systems after repainting and outfitting at Filton. 1973-1974 Took part in several trials from Thurleigh. March 1975 Operated from Comox, Canadian Defence Force base on Vancouver Island in search of CAT for measurements. 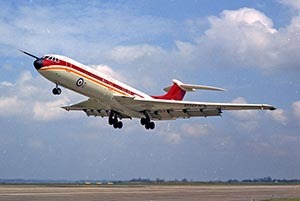 6 May 1975 Last flight of the aircraft at Thurleigh, it was stored at the RAE Bedford site afterwards. Flew a total of 102 research sorties during its time with Aero Flight. 1982 Tail re-fitted to K2 ZA141 after damage during test flying. 1984 Aircraft broken up. Fuselage sections installed at RAF Brize Norton as training object for aircraft loaders with serial 8777M. 2014 Fuselage scrapped at RAF Brize Norton. 1. 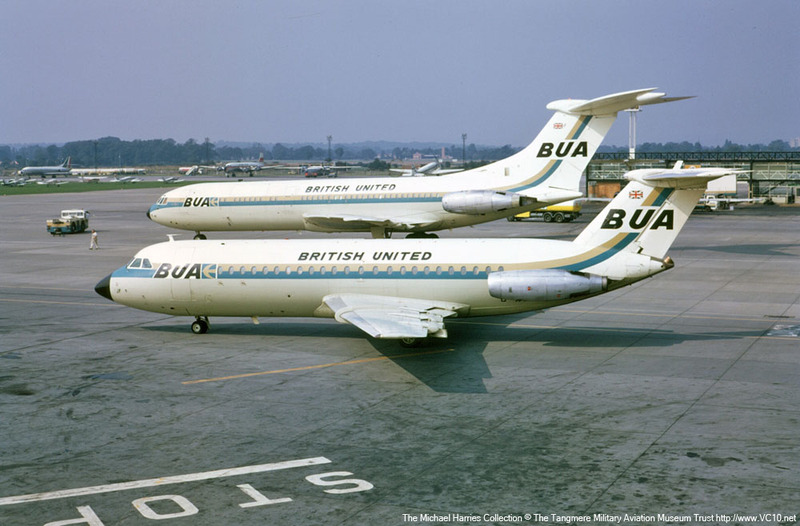 A promotional model showing BUA colours, there were some changes to the scheme that was initially applied to the aircraft. 2. G-ATDJ parked at Mascot airport, Sydney, in the later BUA colours, here the text on the engine nacelles is still present. It flew to Australia for a ship's crew charter. 3. G-ATDJ parked next to a BUA 1-11, now with bare engine nacelles. 4. Same situation, these photos are from Gatwick, taken in 1969. Image Charles Skilton & Fry Ltd.
1. G-ATDJ in flight on this postcard image showing the British Caledonian 'Golden Lion' scheme. 2. 'DJ now on the military register as XX914 operating for the Royal Aircraft Establishment. 3. A wonderful top view of XX914 in its colourful RAE scheme. 4. Staff photographer Peter Hudson took this air-to-air shot of the RAE VC10 in flight. 1. XX914 parked at Heathrow for maintenance, showing the red and yellow cheatline. 2. A shiny new XX914 at London Heathrow in July 1974, being refuelled at the British Airways engineering base. 3. This is where XX914 ended up after its flying days were over. Parked between hangar 1 (just out of frame on the left), and hangar 3 (originally Aero Flight Hangar) on the right. The tail on the left is Vickers Viscount XT661. 4. The VC5 seen in 1987, still in its RAe colours. 1. This photo was taken in March 2004 showing that the VC5 has since been repainted in 10 squadron colours. 4. Thurleigh as it is now, seen from the air in October 2015. BUA Dark blue and red over white with large Union Jack on fin. BUA Blue and sandstone scheme, white over grey fuselage with large blue/sandstone cheatline sweeping up over the fin. Text on engine nacelles was later removed to match the 1-11 scheme. BCal Initially titled as 'Caledonian//BUA', white over grey fuselage with dark blue and gold cheatline, dark blue fin with lion rampant. Known as 'Golden Lion' scheme. Titles later changed to 'British Caledonian'. All aircraft were named after Scottish lochs. RAE Red and yellow cheatline with all-red fin, RAE titles on fuselage, roundels on wings and lower front fuselage.